Secondly, during this time, I had my highest ever number of visits, 894 on January 29th. And I received a lot of support, nearly 100% in fact, from people who commented, people who did not comment but e-mailed me, and / or voiced their support to me in person at the Somerset, New Jersey, Fly Fishing Show. Thursday March 12: Fly Tying Class at Grand River Outfitting and Fly Shop in Fergus, Ontario, 6 – 9 PM. 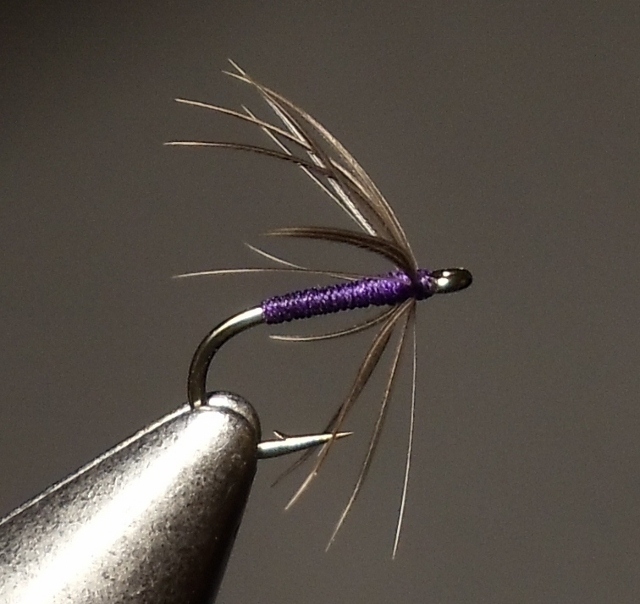 Friday March 13: Fly Tying Class at First Cast Fly Shop In Guelph, Ontario, 6 – 9:30 PM. Saturday March 14: 5-hour fly tying demo, with camera and large screen at The Niagara Region Flytyers Club in St. Catherine’s, Ontario. 11 – 4 PM. Some tickets are available to the general public, at $20. I will not be at the Lancaster Fly Fishing Show; I was thinking about it, but the band got booked at a Mardi-Gras event in Williamsport, Pennsylvania, so I’m staying in town to have fun. 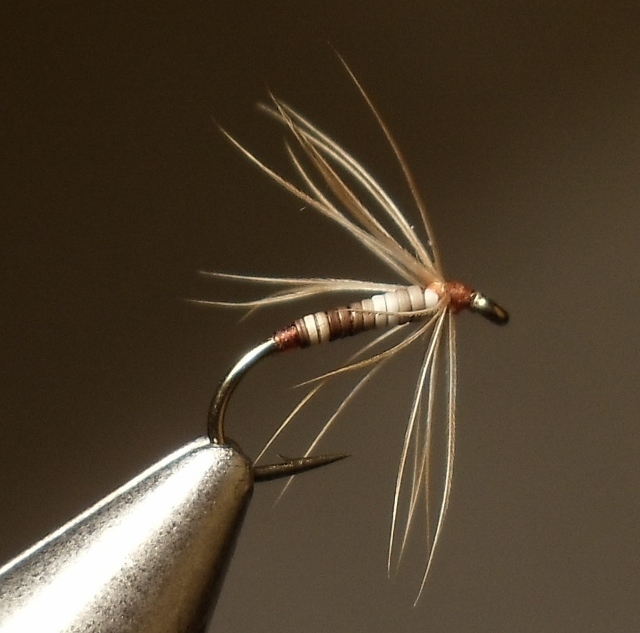 Monday April 6: Federation of Flyfishers Club, fly tying demo and program on Soft-hackle Wet Flies. Big Flats, New York. Monday May 11: On-the-Fly, Spruce Creek, Pennsylvania. An all-day event. There is another event in the planning stages that will be in Maine. I have been invited to participate in this. It will be the last weekend in June in the Rangeley Region. I am honored to be invited; that is all I can say about it for now. As soon as I receive information it will be posted here. When I get details on the classes in Canada I will post them. I would like to remind my readers and their friends that this coming weekend, the Catskill Fly Fishing Center and Museum will hold its annual Arts of the Angler Show at the Ethan Allen Inn, in Danbury, Connecticut. The Ethan Allen Inn is located off I-84 at Exit 4, Lake Avenue. The Arts of the Angler Show is a full feature fly fishing show in an elegant atmosphere. Saturday hours are from 8:30 AM until 5:00 PM. Sunday hours are from 9:00 AM until 3:30 PM. Admission is $12 per day or $20 for both days. Saturday evening will feature a price-fixed dinner for $23, including tax, gratuity, and a complimentary glass of wine. A live auction is scheduled to start at 7:00 PM. Dinner reservations must be made at the front desk by 2:00 PM Saturday. 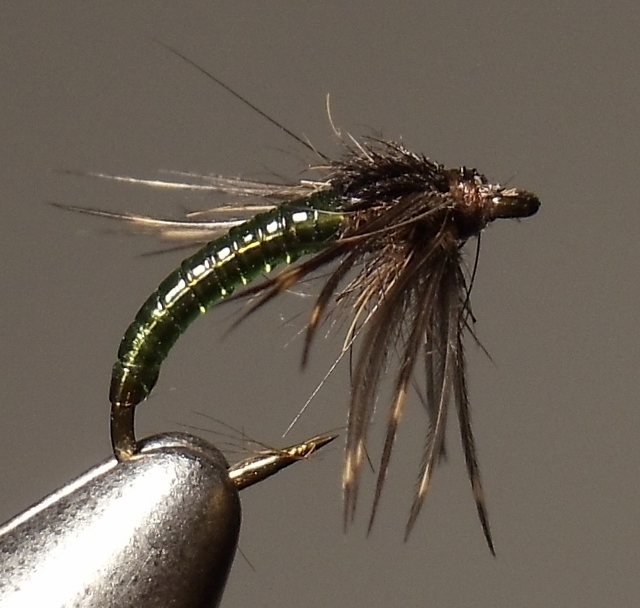 The Fly Tying Studio kicks off Saturday morning at 11:00 AM. The first session features yours truly, tying the White Ghost streamer. I will be demonstrating this Carrie Stevens pattern using her authentic and original Rangeley-style of streamer construction, with a few personal modifications such as the type of cement I use to fasten the wing assembly. Also, my use of rayon floss and mylar tinsel does not inherently alter the characteristic of her flies. Oh, and I tie my streamers with a vise. 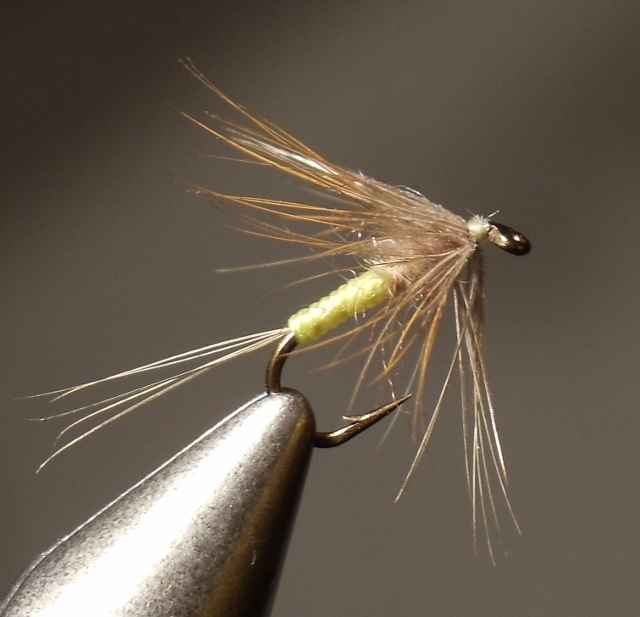 She tied without a vise, and I tried a few of her patterns that way. Honestly, I don’t know how she pulled that off, some of her pattens, yeah, but the more complex ones, you got me. But that’s one reason why Carrie Stevens is one of the greatest female fly tiers who ever lived. My procedure for tying and teaching her streamer patterns and methods is the result of years of experience, but more specifically, from the study of personal photos that are copies of Austin Hogan’s notes on Carrie’s tying methods, which were created by his deconstruction of her patterns. I also incorporate a few techniques adapted from one of the best streamer tiers in the country, Mike Martinek, Jr. Mike was with Austin Hogan in the late 1960’s on one occasion when they disassembled four of Mrs. Stevens’ flies, so he has an inside view and experience and level of knowledge that no other living streamer tier possesses. Thanks Mike, for sharing your knowledge! Other fly tiers featured in the Fly Tying Studio on the hour are Safet Nickocevic, Peggy Brenner, “Fishy”Fullum, and John Likakis. More than thirty-five fly tiers are scheduled to participate in this event. For more information, call the Catskill Fly Fishing Center and Museum: 845-439-4810. Please come and support the Catskill Fly Fishing Center and Museum. 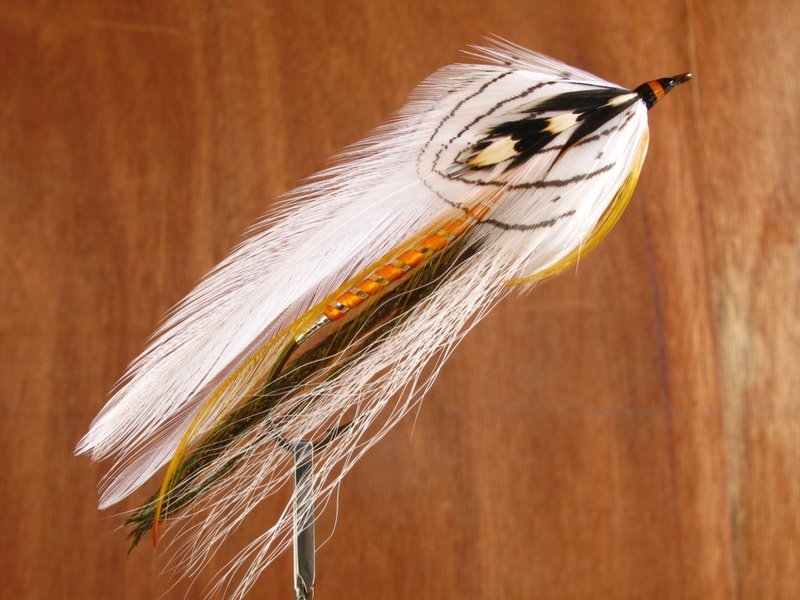 White Ghost streamer – a Carrie Stevens pattern tied and photographed by Don Bastian. The hook is a size #1 – 8x long Gaelic Supreme Martinek / Stevens Rangeley Style Streamer. The Second Annual Flymph Forum will take place Saturday of Memorial Day weekend, May 25th, in the new Wulff Gallery and Heritage Craft Center at the Catskill Fly Fishing Center and Museum in Livingston Manor, New York. Hours are from 10:00 AM until 4:00 PM. The purpose of the Flymph Forum is to unite an international community of fly tiers who share an interest in the wingless wet fly. At http://www.FlymphForum.com they exchange not only photographs and tying instructions, but a broad range of historical and practical information. 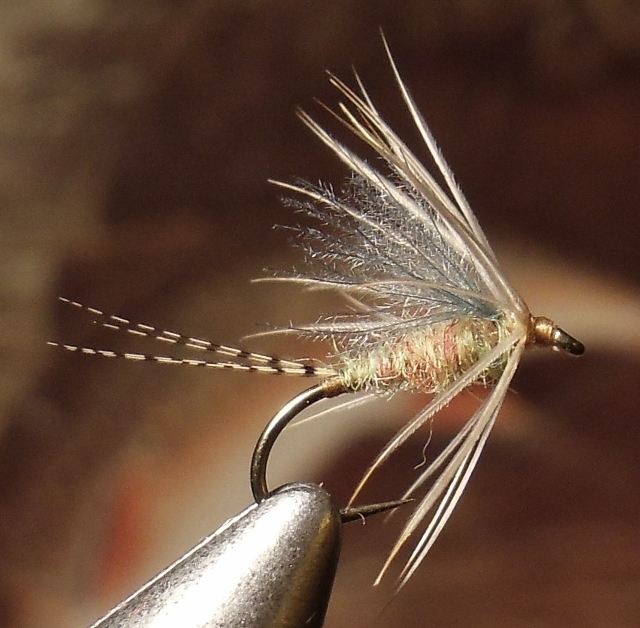 They are sponsored by The International Brotherhood of the Flymph, whose website http://www.Flymph.com honors the fly tying of James E. Leisenring, Vernon S. “Pete” Hidy, and related tiers. It was Pete Hidy who coined the term flymph in 1962 representing the swimming nymph and emerger stages of various mayflies, caddis flies, and stoneflies. The expected Flymph Forum tiers this year include: Ray Tucker (letumgo), William Anderson, Bill Shuck (tie2fish), Lance Hidy (Gingerdun), Carl Sanders Old Hat), Roger Phillips (chasecreek), Ruard Janssen (Ruard), Chris Stewart (Tenkarabum), Tim Didas (tjd), Bob Dietz (rdeitz), John Shaner (Greenwell), Tom Park (Izaak), Eric Kelley (Smuggler), Jason Hilbourne (jaydawg), Art Friedlander, and Bob Kern (narcodog). William Anderson will be demonstrating the Clark spinning blocks that he has hand-crafted out of hardwoods; John Shaner will have his North Country Spiders; Chris Stewart is bringing his Tenkara gear; and Lance Hidy will show photographs of flies tied by his father and Jim Leisenring, along with other memorabilia. Please log onto http://www.FlymphForum.com to learn more about this congenial community of fly tiers from countries as far-ranging as Serbia, Australia, New Zealand, Sweden, The Netherlands, England, and Scotland. Please visit Livingston Manor on May 25th to participate in this lively exchange of of fly tying craft and lore. The Flymph Forum website and logo were designed by Mark Libertone. (This information was copied from the Catskill Fly Fishing Center and Museum website). While in the area, be sure to stop by The Rockland House for a glass of Roscoe Beer Company Amber Lager. Or better yet, stop by the brewery next door for a tour. And Saturday night is prime rib night at The Rockland House; their prime rib is just about as good as it gets. 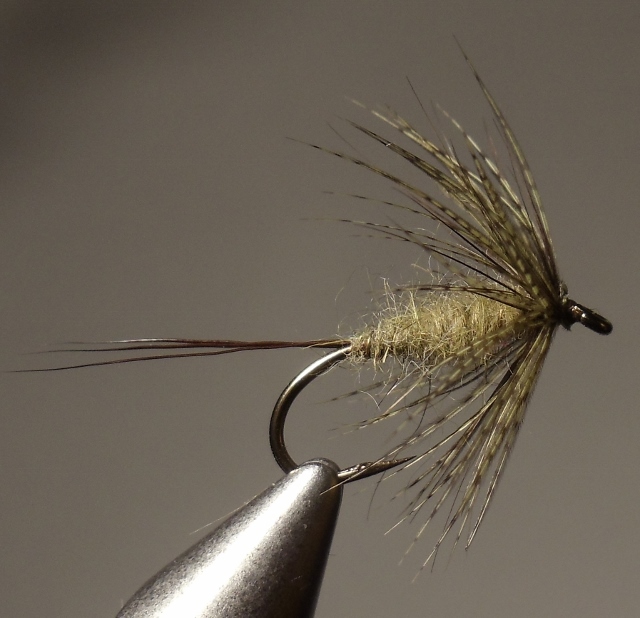 Following are some beautifully-tied soft-hackle flies by my friend in Jarrettsville, Maryland, Bill Shuck. I am happy to have Bill as one of the contributing tiers for my upcoming book, Favorite Fishing Flies – 1892. Bill is one of the featured tiers at The Second Annual Flymph Forum. 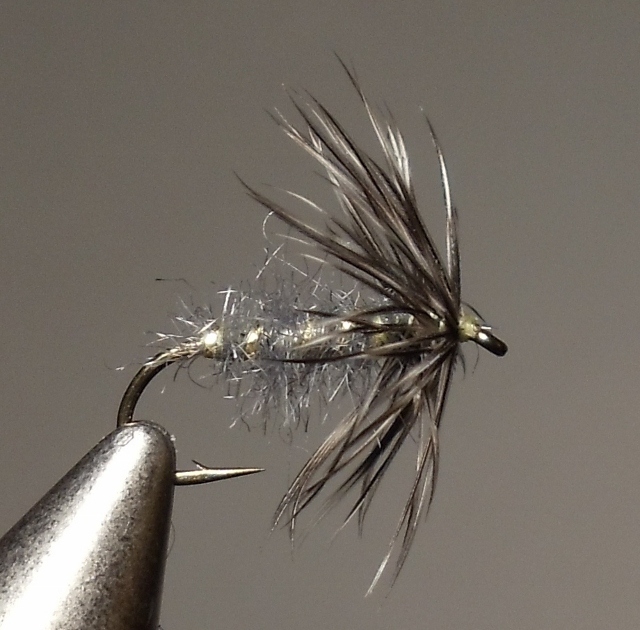 Biot and Plover March Brown – tied and photographed by Bill Shuck. Easternized Green Drake – tied and photographed by Bill Shuck. 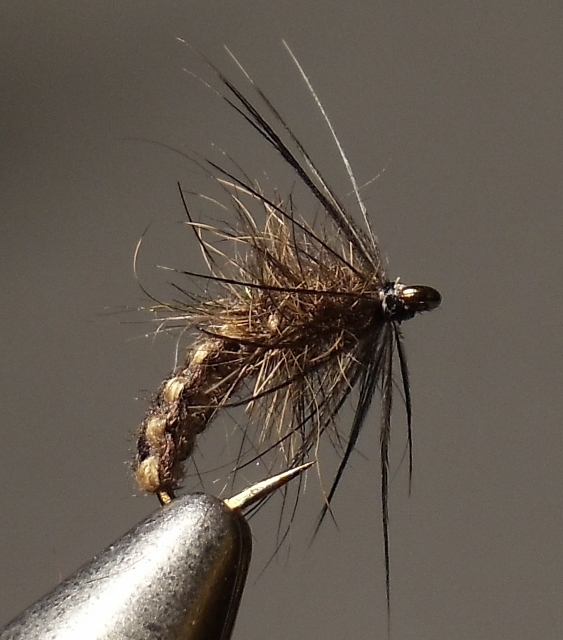 Ginger Dun Peccary – tied and photographed by Bill Shuck. Grizzled Flymph – tied and photographed by Bill Shuck. Grouse and Quill – tied and photographed by Bill Shuck. Just Emerged PMD (Pale Morning Dun) – tied and photographed by Bill Shuck. Snipe and Purple – tied and photographed by Bill Shuck. 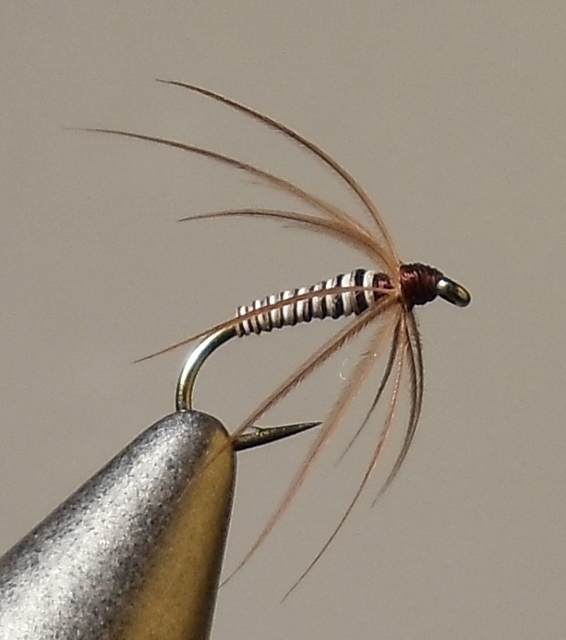 Soft-hackle Caddis Worm – tied and photographed by Bill Shuck. Sulphur Flymph II – tied and photographed by Bill Shuck. 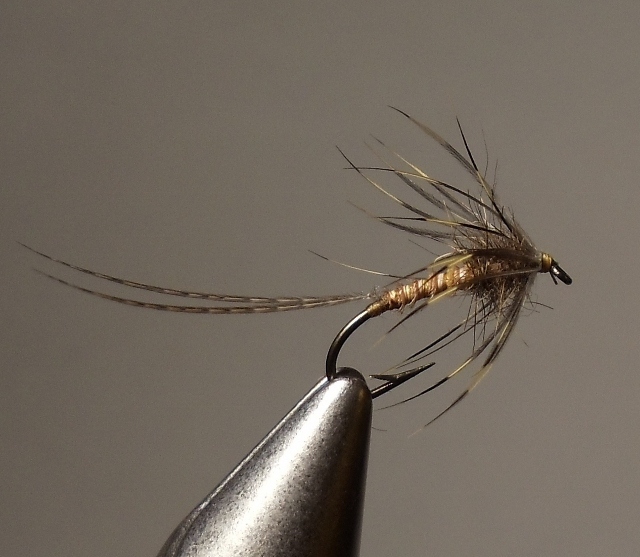 Those are some great looking soft-hackle flies, Bill! Excellent tying! Your representations are well-proportioned, sparse, and fishy-looking. You do the Flymph tiers proud! Keep up the good work, and have a great weekend in Roscoe!